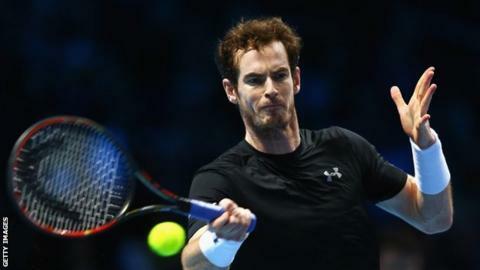 Britain's Andy Murray says he is not afraid to play in the Davis Cup final despite security concerns in Belgium. Next week's final takes place in Ghent. The city is 35 miles from Molenbeek, the focus of a manhunt for one of the suspects involved in the Paris attacks. "I don't want to live in fear each time I step on a court," said Murray, 28, who has been named in the provisional five-man squad for the tie. Tuesday's football friendly with Spain in Brussels has already been cancelled. Belgium's government has raised the terror threat level to three in the country, and the International Tennis Federation said in a statement on Monday it was "continuing with preparations" for the Davis Cup final "with the emphasis on security operations". "Having spent the past couple of weeks in the company of James Ward and Kyle Edmund on the clay courts of South America, Leon Smith will have a pretty good idea of who will end up in the second singles spot. "But he doesn't need to tell us, or the Belgians, until the draw on the eve of the final. Smith could still bring in Dan Evans, who played in the semi-final after Edmund turned his ankle in practice." Meanwhile, the Lawn Tennis Association, British tennis' governing body, said: "The LTA is in regular dialogue with the ITF on event security relating to the Davis Cup final. We are also taking advice from the Foreign Office and will continue to closely monitor the situation. "The safety of everyone in the British contingent, including our players and fans, remains our number one priority." Aside from British number one Murray, James Ward, Kyle Edmund, Jamie Murray and Dominic Inglot are also on the provisional list for Great Britain's final against Belgium, which will take place from 27 to 29 November. GB captain Leon Smith no longer has the option of bringing in British number two Aljaz Bedene. The 26-year-old's appeal in Prague has been adjourned until next year, so he is ineligible. Bedene played in the Davis Cup for Slovenia three times before gaining UK citizenship in March, but a Davis Cup rule change prevents players representing a second country. Bedene is appealing on the grounds his passport application was lodged before the rule changed at the start of 2015. Smith will name his final four at the draw in Ghent on the eve of next week's final.